Specially designed product for usage around eye area, smile line and forehead. Contains concentrated peptide and adenosine. 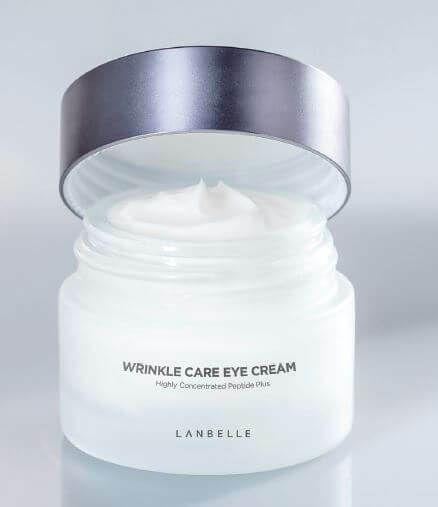 Cream presents effect of reduction wrinkles depth and length by the same visibility of wrinkles is reduce after 4 weeks of regular application. How to use: After using toner or serum, take an adequate amount with a clean spatula and apply to the face. Spread with fingertips gently to get it well-absorbed. Additional information: Store in a cool and dry place, away from direct sunlight and heat. . Keep the cap sealed after every use. Refrigeration recommended. Size: 15 ml / 0.5 fl.oz.